Alongside big churches, we need an explosion of smaller, niche churches to infiltrate neighborhoods and challenge us to think differently. That’s one of the advantages of strategic small churches. They don’t need full-time pastors or their own building. They need committed, patient, innovative leaders. Is this what the church of the future will look like in our cities? 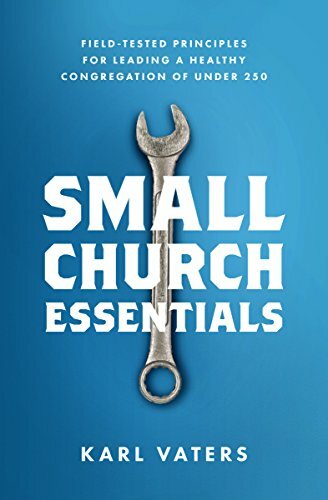 Maybe, alongside our big-and megachurch friends, we’ll see an explosion of smaller, niche churches that can infiltrate neighborhoods, inspire and encourage non-traditional spiritual seekers and challenge the traditional church to think differently. If this idea has struck a chord in you, don’t shrug it off. Sit with it for a while. Pray about it. Talk with a mentor. Then, if you feel the call, step out in faith. Our cities need you. And so does the church. Copyright © 2016 by the author or Christianity Today.